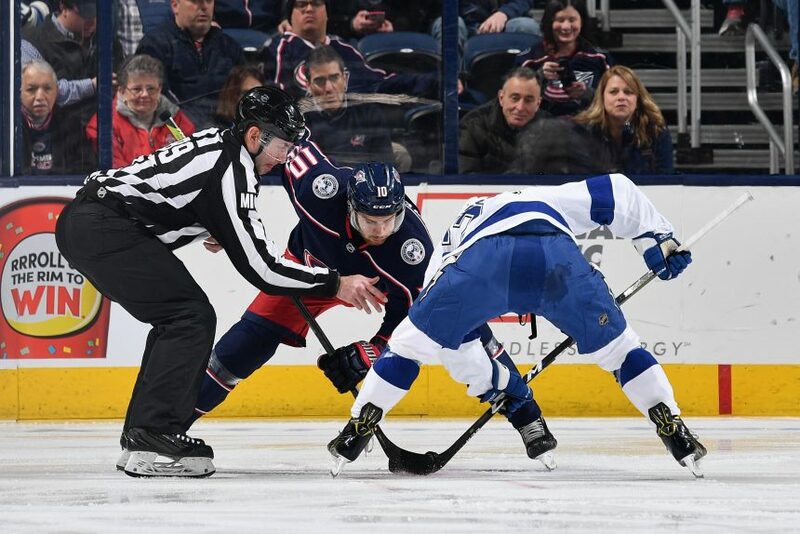 Playoff Preview: Blue Jackets vs Lightning - The Point Data-driven hockey storytelling that gets right to the point. Tampa Bay has owned the season. They tied the NHL record with 62 wins this season on their way to the President’s trophy, 21 points clear of second place. That’s the same gap as the difference between the second-place Flames and non-playoff teams like Florida and Arizona. Nikita Kucherov led the best offense of the millennium with 128 points, good for the Art Ross trophy by 12 points. In net, Andrei Vasilevskiy paced the league this season with a -0.8 actual to expected goals against, saving his team nearly an extra goal per game compared to league average. They’re the runaway favorites to win it all and it’s easy to see why. Despite a stacked defense on paper, the Lightning are a more porous team than you might expect. They may have a top-10 defense in terms of goals against, but that has more to do with Vasilevskiy’s performance than their actual defensive play. On top of that, Victor Hedman, their leader on the blueline, might not be 100% when the playoffs start after being injured on a hit by Carl Hagelin. The Blue Jackets, meanwhile, are 4th in the league since the deadline at getting possession time in the offensive zone. 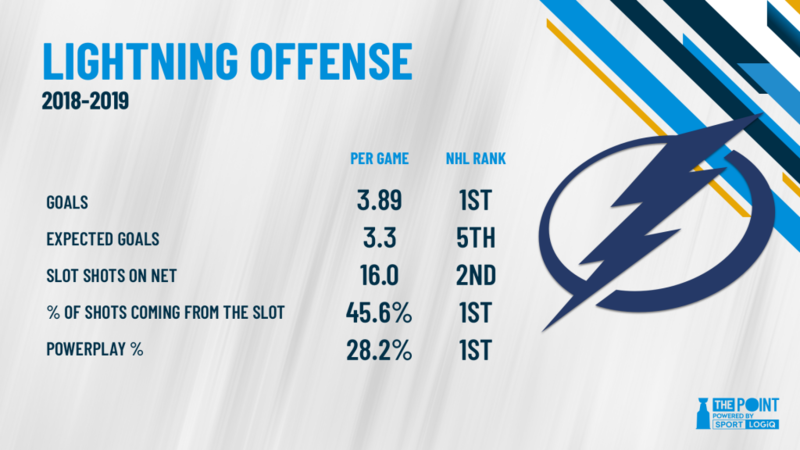 They haven’t used that time to generate many quality chances, but a lot of zone time means they keep the puck off the sticks of Tampa’s powerful offense. If they can turn that zone time into some quality shots on net, Vasilevskiy regresses towards the average and Bobrovsky is in Vezina form, they will have a chance to pull off the upset. That’s a lot of ifs, but it’s to be expected when a wildcard team faces a historically powerful team.